Totally unsponsored. I paid for everything with my own money and Decorist doesn't know who I am. 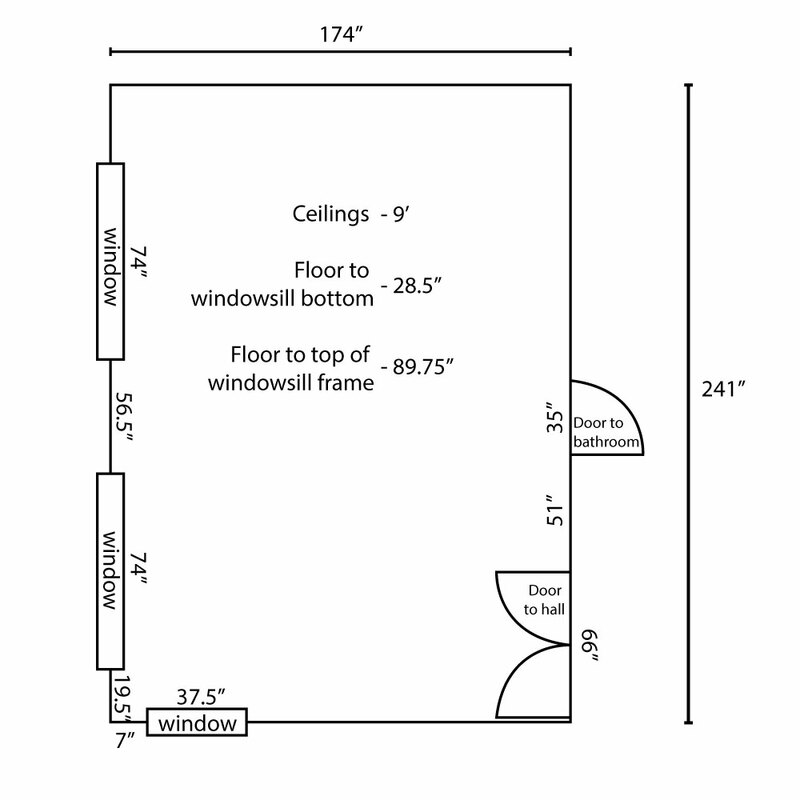 A couple years ago I had a sort-of-vision for our master bedroom and I got started. 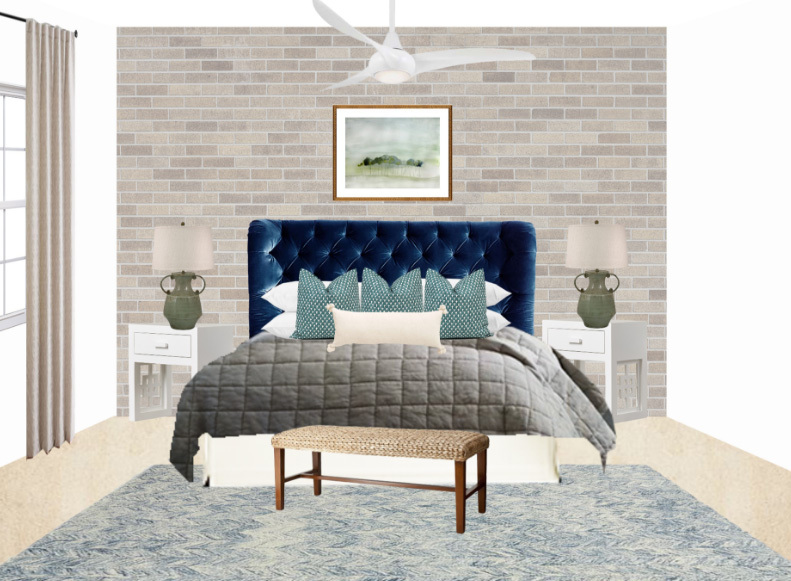 I did some faux brick and a giant tufted velvet headboard...and then I got distracted by the rest of the house and our master bedroom remained mostly empty. It's a huge room but all we've had in there for the past few years is a bed, ONE bedside table (Aaron's) and a leaning mirror that I wasn't sure where else to put. Aaron mentioned a couple times that we should hire a designer to help us get our bedroom to where we wanted it but I'd always come back with, "OR we could just give me a budget and let me do my thing." The end result being that nothing ever got done. 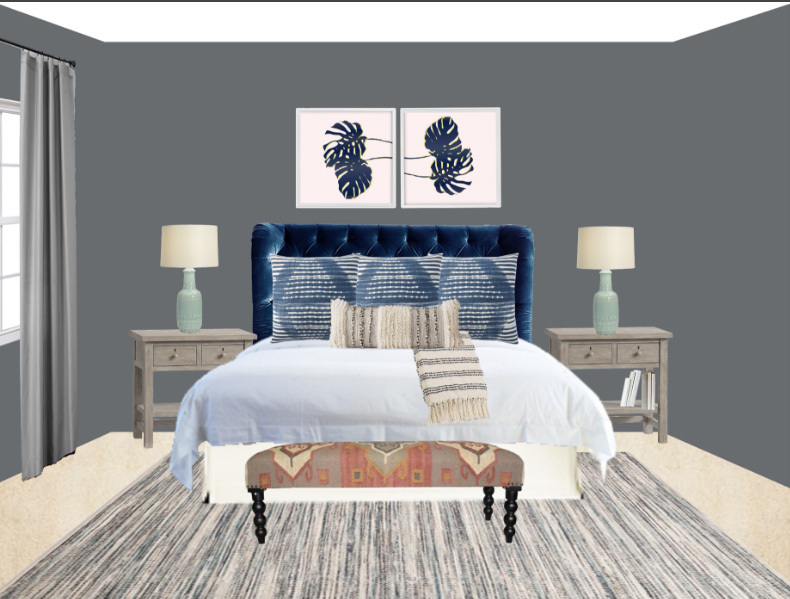 After seeing what Decorist did with my friend Alex's and then Janssen's bedroom I was pretty interested in their services. Last month they had a 40% off coupon which made a room design cost all of $179 and I jumped on it. I told Aaron it was his anniversary present (this was a big mistake as it gave weight to his taste over mine and you can imagine how well that played out). To get started you take a short quiz asking about your preferences ("this more traditional couch or this modern couch?") to try to narrow down your style and pair you with a designer. Then you write down your project goals, upload some pictures of your room as well as a floor plan, and then pick some inspiration photos from their site. There were also places where we could input additional inspiration links or a Pinterest board but we didn't (this was also a big mistake). Here's where I went wrong: I assumed we would be having a conversation with our designer where she would look at our quiz and 3 inspiration images and then ask a few specific questions to help nail down our style and preferences before getting to work. NOW I know that I should have used a Pinterest board and inspiration links to get as much information as possible about our taste and preferences across to our designer. Instead, she asked about our taste in art and then specifics about our room (did we want a new fan?) and that was that. I shrugged and figured she had gotten enough information from the quiz and inspiration pictures. I was shocked by how much I disliked it. I don't think I've ever hated a lamp as much as I hate those bedside lamps. The upholstered ottoman is so so bad. The bedside tables are boring. The pillows are not remotely my taste. The only things that I might consider are the rattan bench and that painting in the second picture. Definitely better than the first one. I love the chairs. I like the art in the second picture. I quite like the blue pillows on the bed. But I hate the bench (my grandma would 100% have that in her house). The bedside tables are super boring. Meh on the lamps. And, as much as I love the gray walls, I ultimately decided I don't want to rip out the faux brick (we'd have to redo the crown molding and baseboards and I don't want to deal with that) and the gray wouldn't really mesh. The designer read all my feedback and kind of pointed to the fact that we didn't give her much to go on. It was true, we didn't do a Pinterest board or any other inspiration gathering and that was our bad, but that first concept was NOTHING like the three inspiration pictures we chose so that's not just on me. When I showed them to Aaron he said, "That one's boring, that one looks like a refrigerator, and that last one reminds me of the 70s. Not in a good way." I got Aaron's approval and sent them over to our designer, crossing fingers they would lead her more in the right direction. And...it's fine. It's a jumping off point and I feel like it sent me in the right direction. I still wasn't blown away but at least the final concept looks like a room I would want to live in. 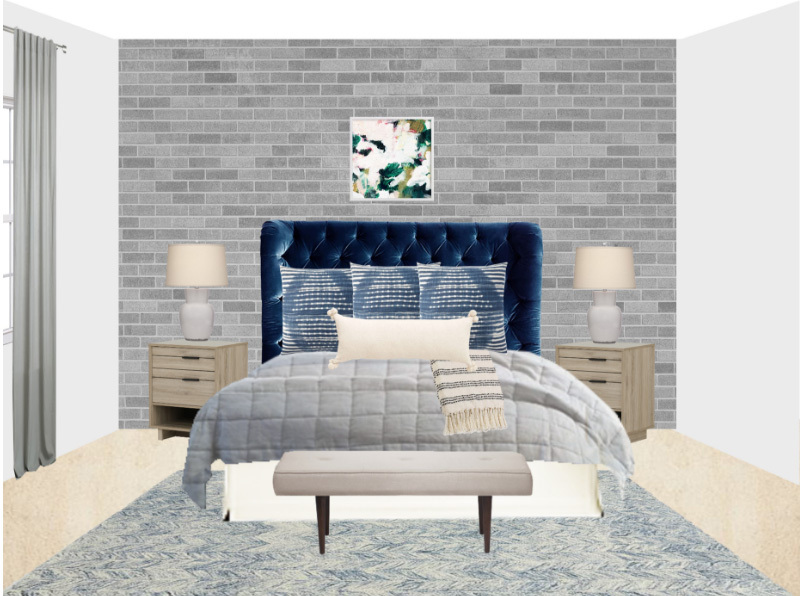 This is where I should do a grand bedroom reveal BUT we're slow-and-steady when it comes to decor so all I've done is add the bedside tables and a bench is supposed to arrive today (slightly different from the one I originally liked, but I had a gift card and Aaron prefers it). It'll probably be 6 months to a year before the room is actually done (and then I'll continue to mess with it for another year after that). That's how our house rolls. I have PLENTY of interior decor images pinned but they're 90% kitchens (since we remodeled our kitchen last year) and the odd living room. There's maybe one master bedroom in there and Aaron didn't love it. 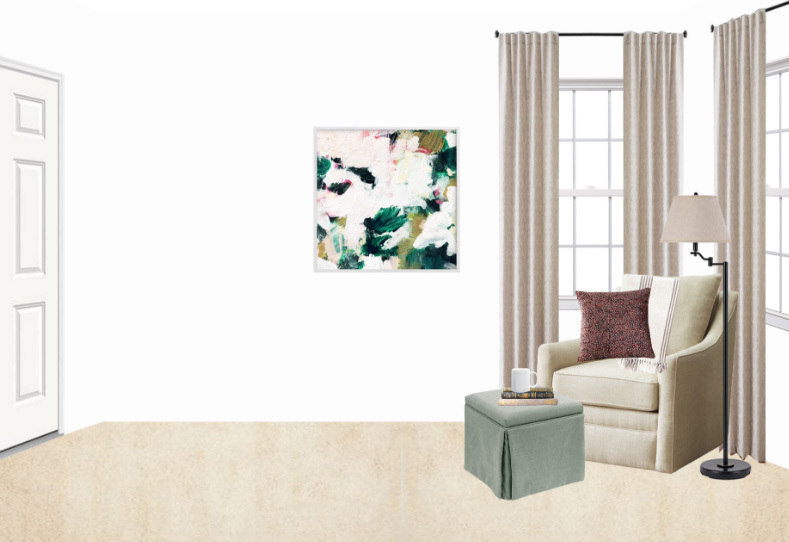 We actually did sit and go through Pinterest for a few minutes but kept running across the same images that Decorist had provided as choices in the first place so we gave up. What I SHOULD have done was create a group board for both of us to contribute to separately over a few days and then go through and delete whatever we really couldn't agree on before submitting it to our designer. I don't think our designer was a great fit for us. What I didn't realize when I started was that I could go through all the designers (there are a TON), look at their profiles, and then specifically request one. 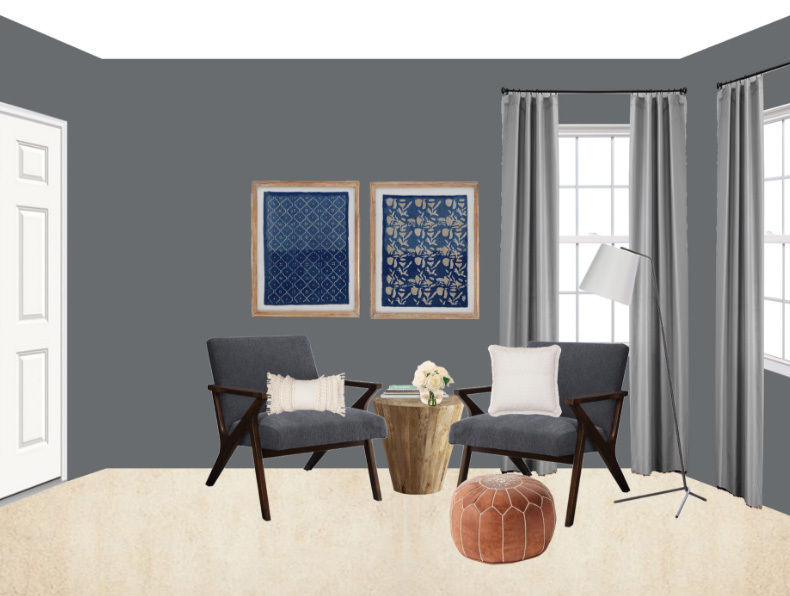 I quite liked both the concept boards that Janssen's designer gave them for their master bedroom and, in retrospect, I should have asked Janssen for her name at the beginning and requested her. BUT I didn't know that was an option until after we'd already been paired with someone else. I was hesitant to give my designer too much direction because what if that kept her from giving us an amazing design that would totally blow us away? I had design FOMO. I also honestly thought that I wasn't that picky (lol). I gave her a lot of open-ended answers that didn't end up being helpful at all. Like I told her I was open to ripping out the faux brick but, when I really thought about it, I wasn't. I told her I didn't have strong feelings either way about drapery even while suspecting that I'd probably never bother to hang curtains because our shutters are really good at keeping out the light. I thought giving her free reign was the way to go when the reality was that she would have found constraints a lot more useful. Our front room is the most "done" in our house. It has lots of plants. It has a soothing color palette of grays, blues and whites. There's some texture and pattern. It contains the couch we loved so much that we ended up buying it even though we didn't know where we'd put it. A picture of that room probably would have gone a LONG way toward helping our designer nail down our taste and what we wanted in our bedroom. If you've got a space you already love, snap a picture and send it over! Reading the above makes me sound like SUCH a moron (duh you should have done those things, Kayla) but honestly I had to go through the process in order to really understand it. So even though we weren't blown away by our master bedroom design we're definitely open to using Decorist again in the future. I think next time we could get a much better design based on the things we learned from this attempt. 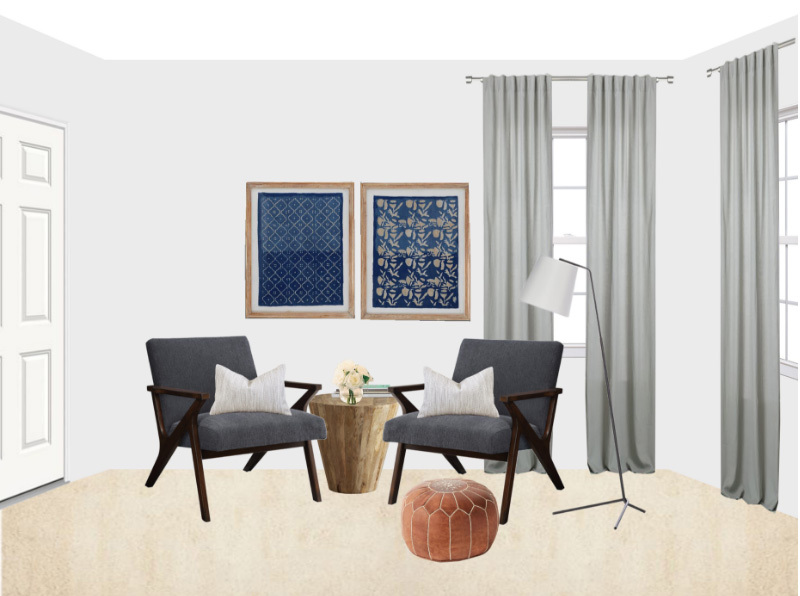 Have you used Decorist? What was your experience? Do you have a source for those blue patterned pillows? I'm going to try to DIY this one. I can't bring myself to spend $45 on a pillow cover. Did you end up getting those night stands? 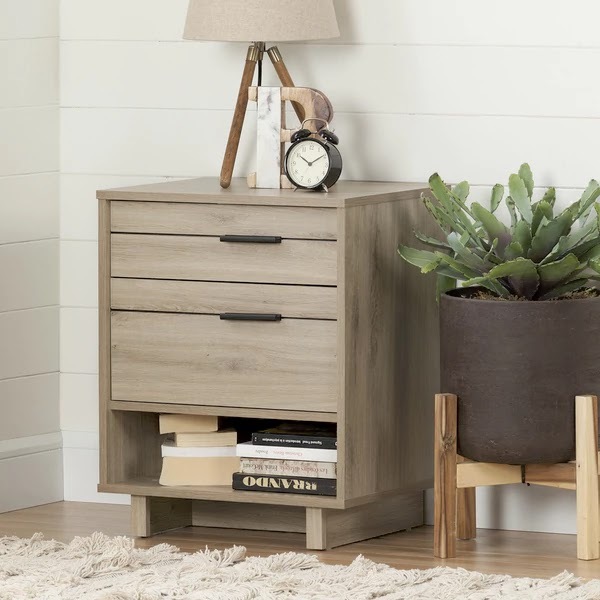 I have them in my cart (after reading this post) and I can't decide... Are they sturdy?